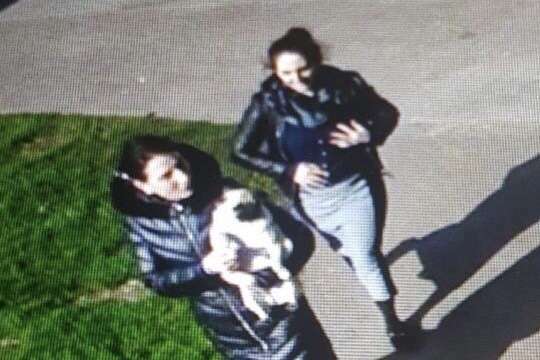 Stolen pug reunited after CCTV of thieves released. #PetTheftReform. Arrests made, Tabitha safe! Well done everyone. 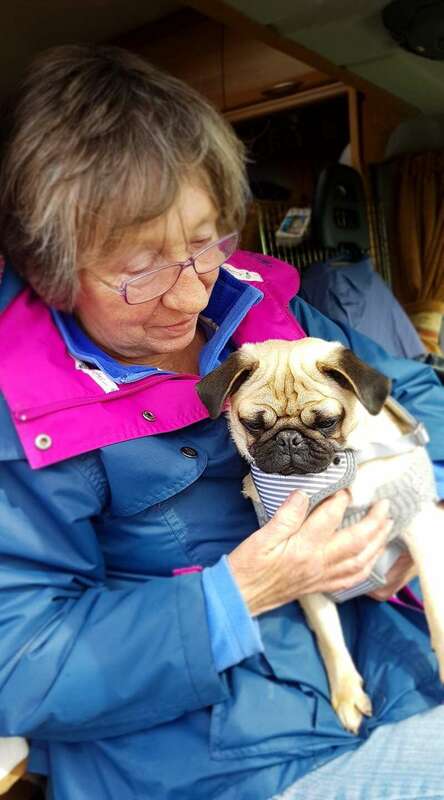 One year old Tabitha was brazenly stolen yesterday, 14th April 2019, morning from the Scottish Pug Championship Dog Show which was held at Lanark Agricultural Centre ML11 9AX. 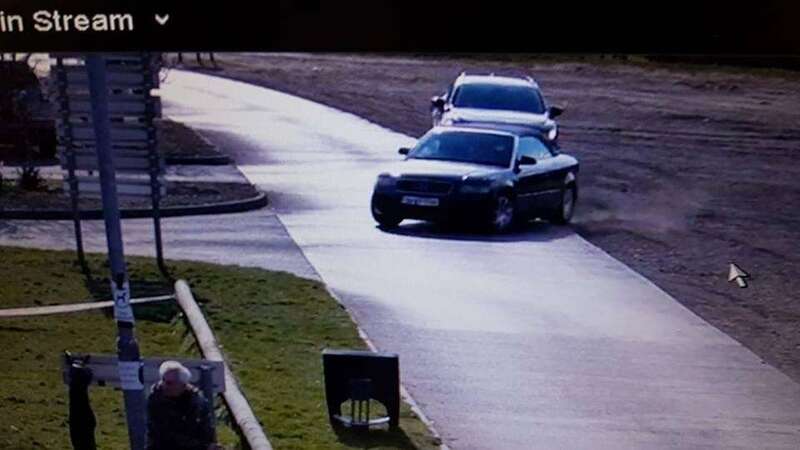 The thieves just opened the door of her crate and took her out of the safety of the four berth trolley, which was parked well within the show. They just walked straight out with her in their arms. They were only in the show venue minutes. The feeling is that this was an planned heist. It was very organised. A male unsuccessfully tried to steal a Cocker Spaniel at the same venue. She was taken by two females at 9.45 am who are caught on CCTV. There are also photos of the dark coloured Audi convertible car (also on Dog Lost) of those stealing this much-loved puppy. Please can everyone share? 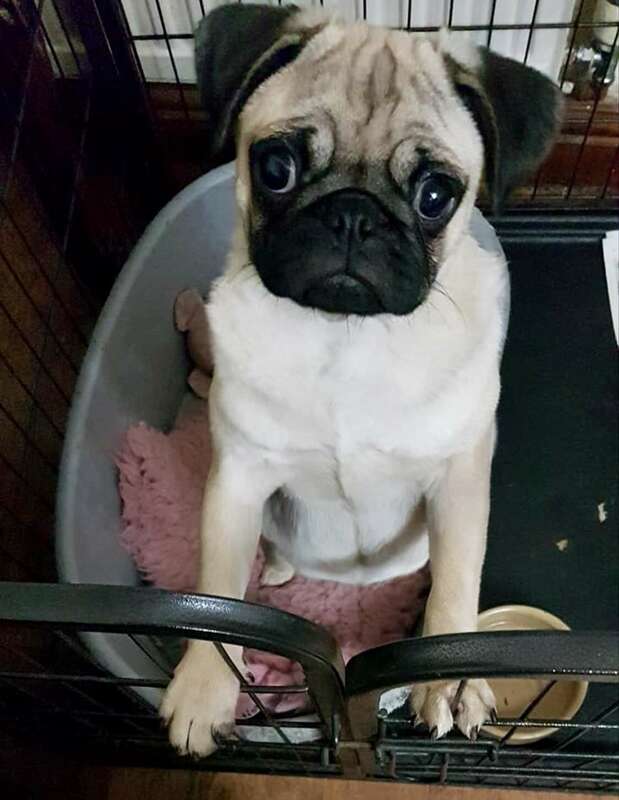 And while you and I are reeling from the audacity of the thieves walking into a dog show and snatching a pup, let’s sign and share the petition to make Pet Theft be treated as the heinous crime it is. Despicable people. Tabitha is in the words of her owner ‘ naughty puppy and bounces like Zebadee on a lead’, who was only at the show for a bit of training/experience.